Children’s Heart Foundation was founded in 2001 by two groups with a vested interest in the medical condition — ­­parents and pediatric cardiologists. While children’s medical charities and causes receive more attention than ever, from cancer to muscular dystrophy to premature birth, pediatric cardiology is often pushed to the background, even though it is one of the most common medical conditions in children. In Nevada, for the past 15 years, the Children’s Heart Foundation has taken up the responsibility to increase awareness, resources and assistance for babies and children with heart conditions, along with the families that support them. 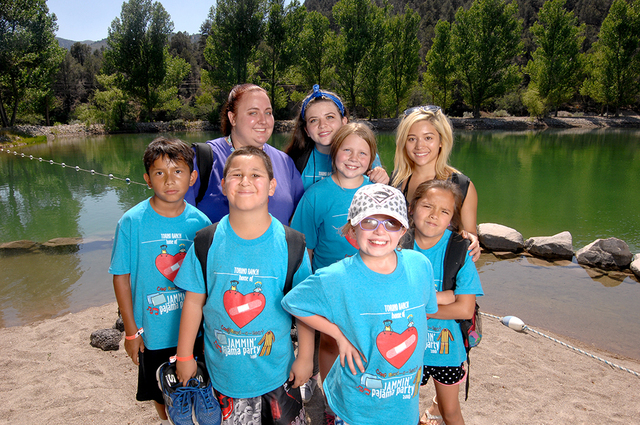 “Twice as many children die from congenital heart failure and heart disease than all of the child cancers combined,” said Kelly McClellan, executive director of the Children’s Heart Foundation, which recently hosted two of its summer camps, Camp Mend­a­Heart and Camp Heart and Sole at Potosi Pines Camp in Pahrump. Children’s Heart Foundation was founded in 2001 by two groups with a vested interest in the medical condition — ­parents and pediatric cardiologists. The combination of the parents’ passion and the cardiologists’ expertise and resources has proved to be efficient enough to build the state’s leading non­profit organization in serving pediatric cardiology patients. The Children’s Heart Foundation has four main goals: supporting pediatric cardiology research, providing a carefree camp experience for children with heart conditions, educating health care professionals and the general public on pediatric issues and supporting families as they deal with the emotional and financial toll exacted by their child’s heart condition. The resources include two highly visible summer camps for children, Camp Mend­a­Heart for children with heart conditions and Camp Heart and Sole for children who are at high risk for heart conditions. Camp Mend­a­Heart was founded by Lyn Acebo, a concerned parent of a heart patient and a board member of Children’s Heart Foundation. Acebo wanted to send her daughter to a camp for children with heart conditions that was outside of Nevada, but was concerned about the distance due to the fragile state of her heart. She also wanted her child to have a bond with other children from Nevada dealing with similar medical issues. She joined forces with other concerned parents and doctors to establish Camp Mend­a­Heart. 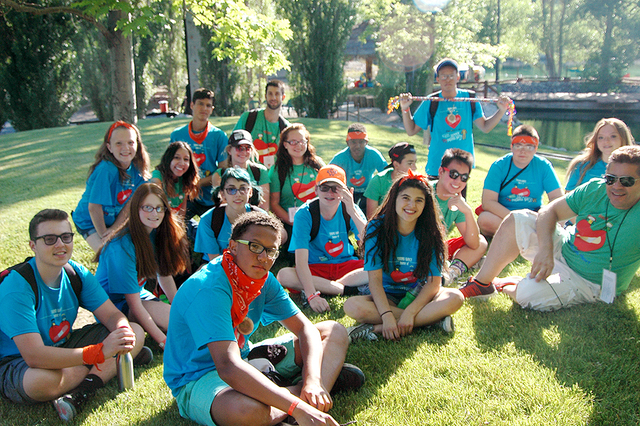 Camp Mend­a­Heart was the first medically supervised camp meant for children with heart conditions in Nevada. The camp has expanded from an overnight stay to a full four­-day, three-night camp experience. The cost for each camper to attend is $1,000 and the Children’s Heart Foundation has never charged a single camper to attend. “I think people severely underestimate the power of camp on the children,” said Kari Tillman, executive director of the Torino Foundation that works closely with Children’s Heart Foundation to host the camps. 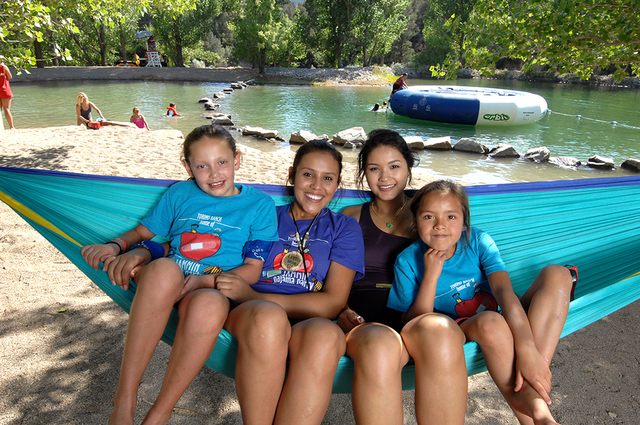 Camp Heart and Sole is also cost-­free and is for participants in the Children’s Heart Center’s Healthy Heart program. The camp focuses on modifying unhealthy and negative behaviors, including analyzing current eating habits and introducing physical exercise as a fun sporting activity. Many of the children who attend Camp Heart and Sole are from financially challenged families and have never experienced a summer camp environment. This year marked the eighth year for Camp Heart and Sole, which partners with contributions from PepsiCo and Ronald MacDonald House, along with the Children’s Heart Foundation. It is a cause that receives even further attention every (month) when the Children’s Heart Foundation partners with the Children’s Heart Center Nevada for its annual heart conference. This year’s conference will be held on Oct. 15 at the MGM Grand Hotel Conference Center. Nearly 1,200 people were in attendance at last year’s conference.